Have you caught the baking bug all of a sudden, or know someone who can make a mean chocolate gateau? 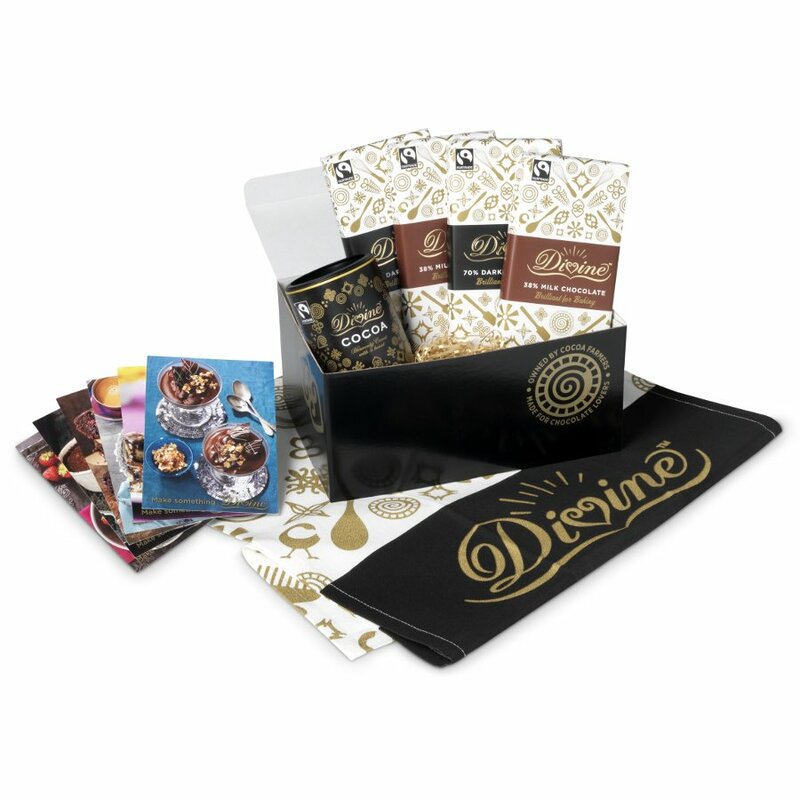 This Divine Baking Hamper is full of chocolate made especially for baking delicious chocolate cakes and other tasty creations. 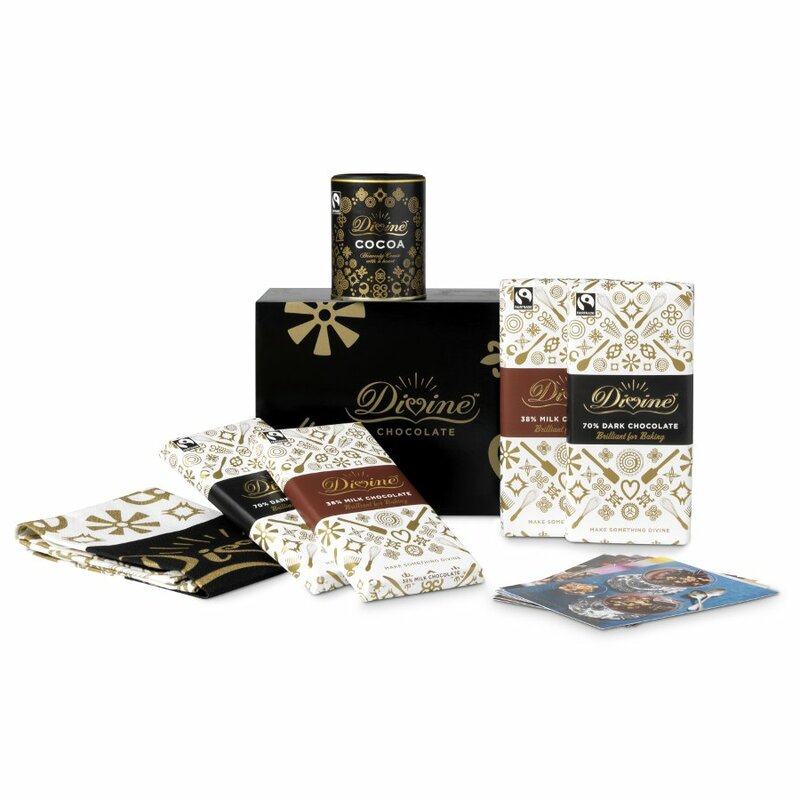 The hamper includes Divine cocoa, two Divine 70% dark chocolate bars and two Divine high cocoa milk chocolate bars to cater for a range of recipes. 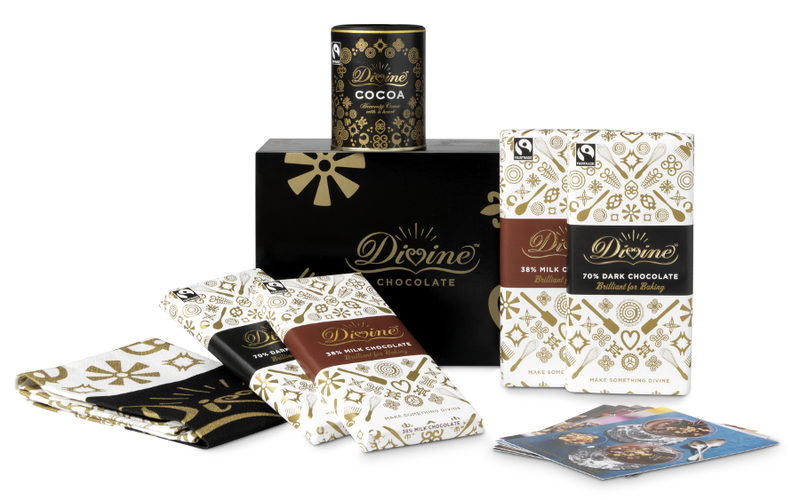 Get inspired to make something Divine with a selection of recipe cards by famous friends of Divine and clean up afterwards with a Divine Fairtrade tea towel. 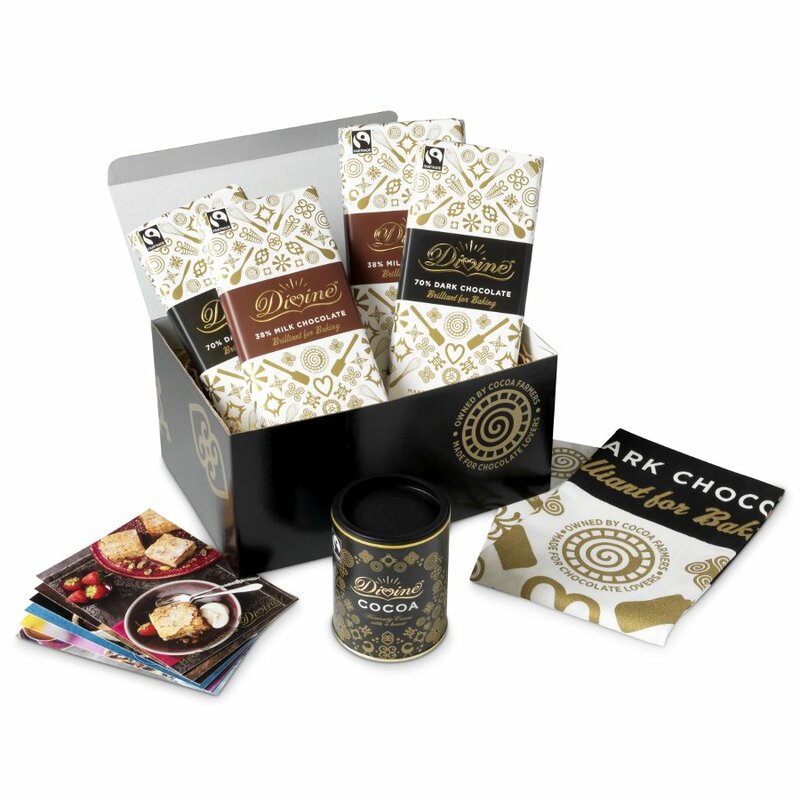 This hamper makes the ideal gift for anyone keen about baking or for those just taking their first steps into cake making. Product may contain nuts. 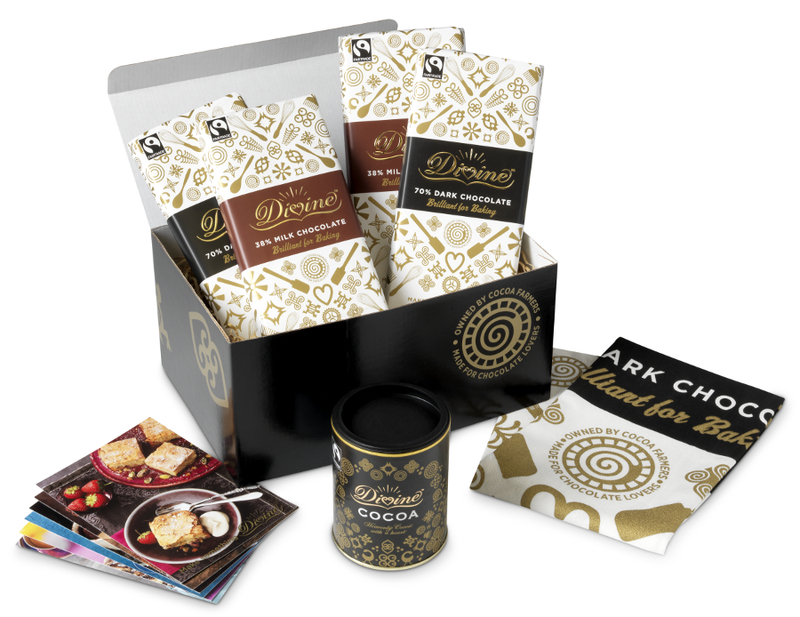 For further nutritional information please see ingredients for individual products. 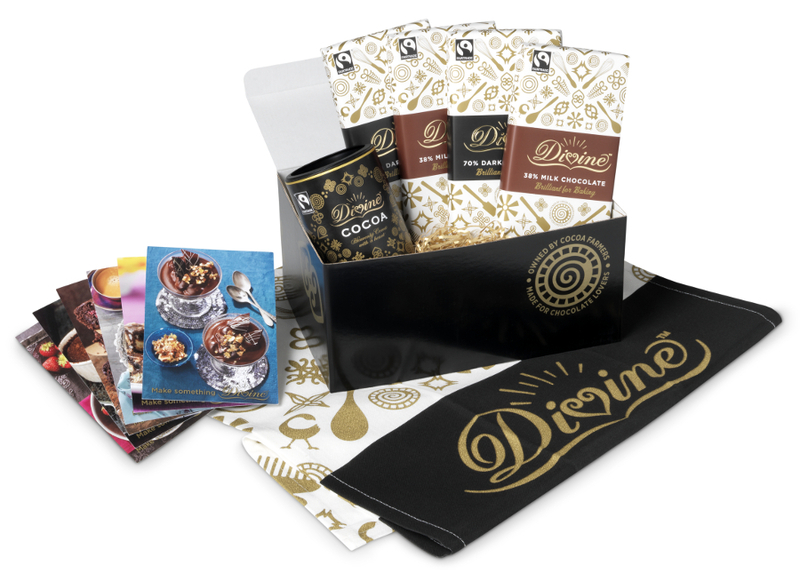 There are currently no questions to display about Divine Baking Chocolate Hamper.